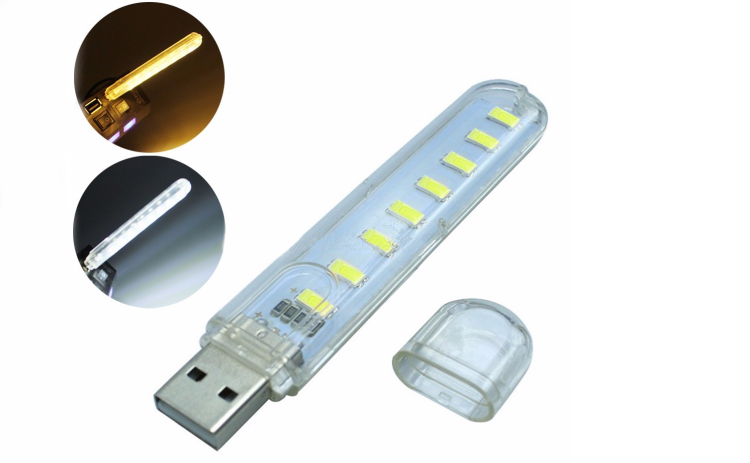 8 Led USB light is made of plastic. It has 2 kind of lights: white light and warm light. It is suitable for individual learning at night. Custom logo can be imprinted with all colors. 4" x 0.75" x 0.4"